The hotel was clean and the staff were friendly. 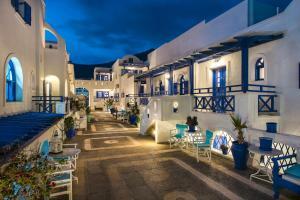 The location of the hotel was perfect and was only a minute walk to the beach and surrounding shops/restaurants. It also provided it's own little oasis away from any noise if you wanted to hangout by the pool all day or get a good nights rest. Would definitely stay here again and would recommend the property to family/friends. The staff are excellent, very friendly and helpful. The site is a few minutes walk from the beach and loads of restaurants yet still quiet. 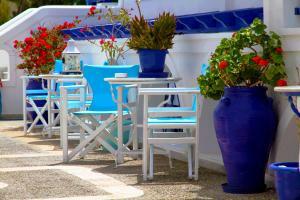 Rooms are basic self catering but very clean and well maintained, we would recommend. The location was perfect! The staff were helpful and professional! They even have a contract with two local restaurants that give their guest a discount! The entire property is relaxing and beautiful! The staff was so accommodating! The absolute BEST costumer service I have ever experienced! Staff are very helpful, the hotel meet my expectation， as beautiful as it in picture， few mins walk to black beach, have nice restaurant nearby. The owners and drivers were very friendly and helpful. 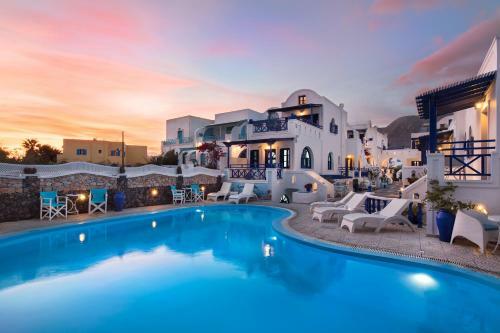 Lock in a great price for Samson΄s Village – rated 9.1 by recent guests! 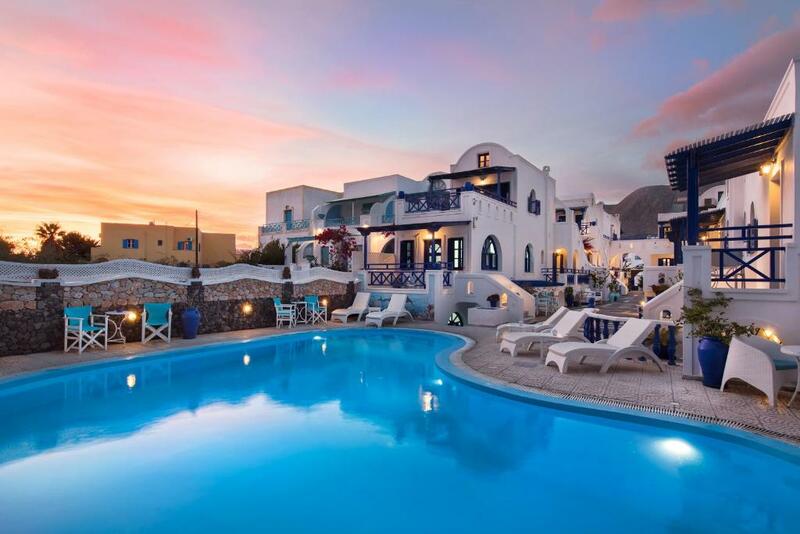 One of our top picks in Perissa.Samson's Village offers traditional Cycladic style accommodations with views to the sea, free Wi-Fi access, only 2 minutes from Perissa beach. Renovated in 2012, Samson’s studios and apartments are traditionally decorated and come with kitchenette and balcony offering views to the Aegean Sea or the pool. Air conditioning and satellite TV are standard. The complex offers a pool with deck chairs and pool bar. Guests can relax by the bar, or surf the internet at the free wireless internet area located by the bar. Continental breakfast is also available. The popular beach resort of Perissa features one of the most impressive beaches in the Aegean. Those interested in archaeological sites can follow the 1.2 miles path that leads through the slopes of Profitis Elias and Mesa Vouno to the ruins of Ancient Thera. 뀐 Located in the top-rated area in Perissa, this property has an excellent location score of 9.4! 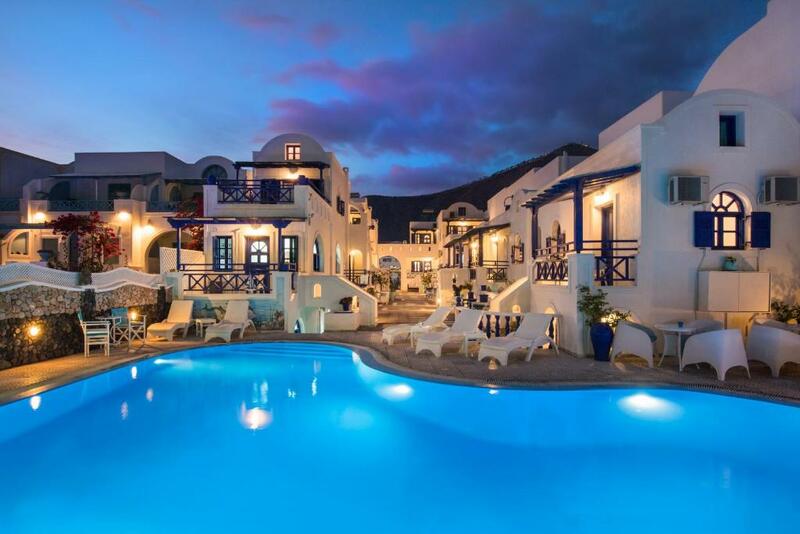 When would you like to stay at Samson΄s Village? Air-conditioned studio with kitchenette, satellite TV and a private balcony. 2-level air-conditioned maisonette with kitchenette, satellite TV and a private balcony with view of the pool, the garden or the sea. The property is like a small village with traditional cycladitik colors (deep blue and white) This is a family hotel business. My father in age 2000 built this place and from then every year we are trying to make it better. For me this is my life, i'm trying to do my best to welcome people to our accommodation and to make the feel like home. 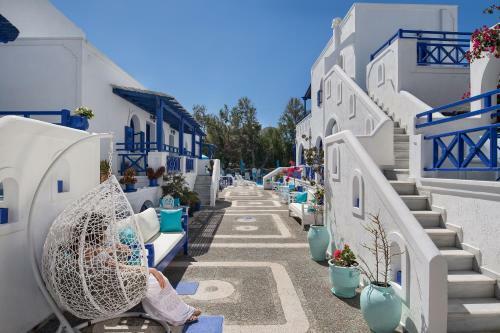 The hotel is 50 meters from the beach and some rooms have side views to the sea, Quiet neighborhood 2 minutes walk for the beach road and 2 minutes road on foot from the busses. House Rules Samson΄s Village takes special requests – add in the next step! Samson΄s Village accepts these cards and reserves the right to temporarily hold an amount prior to arrival. Great location, lovely staff, pretty rooms. Would definitely recommend. small bathroom, cleanless could be improved. Fantastic staff! Great location, beach is very close!, lot of restaurants near by. Very nice and cosy hotel. The staff were very welcoming and friendly. The location was right next to the beach and there was plenty of parking available. There were many restaurants to choose from and many activities in the area to keep us entertained. awful beds (either too soft or too hard). tiny bathroom: hardly any space in the shower, the shower curtain gets quite "touchy", dirt and mould in the corners. generally, rooms (kitchen) need refurbishment. pool needs more cleaning. pittoresque hotel complex. very good greek coffee at the pool bar. daily change of towels. helpful staff. near to beach and restaurants. Nothing - may be the washrooms could have been a bit more modern but they more than make up for this with the picturesque place. Everything was great - the village is picture perfect. Right next to the beautiful Perissa beach. The best part is of course the staff - they even presented us a very nice bottle of Greek wine at the end of our stay as a souvenir. Definitely recommend the place to anyone who visits Santorini. Apartment is smaller than what you see in the pictures (everywhere does this I think!) accommodation is perfect for a couple. Excellent location, 2 minutes walk from Parissa beach, restaurants and pubs. Exactly what we required for our trip. In terms of food, it wasn’t the greatest. They could ve had croissants and fresh juice for breakfast. We booked two apartments and one studio. One apartment never got cleaned while we were there (even though my family didn’t mind). The shuttle service dropped my family to a place out of nowhere when they arrived at Santorini which was at night. I was quite worried for them until samson village sorted it out and sent some other cab guy to drop them back to samson village. I flew the next morning to Santorini and they made sure the same minstake did not happen again. Also the prices could ve been lower for the shuttle bus. Staff was amazing! I just cannot say it enough! I went to celebrate my husbands birthday and especially the guy in the cafe/ bar was extremely friendly and provided us with everything we need for free! (Of course I spoke to the Manager before who was also extremely nice). It felt like home. It was a beautifully maintained place and the rooms were cozy and my family and I we enjoyed our stay very well, we only wish if we could stay for longer! It is much smaller than it looks in the photos and was difficult to get hot water. 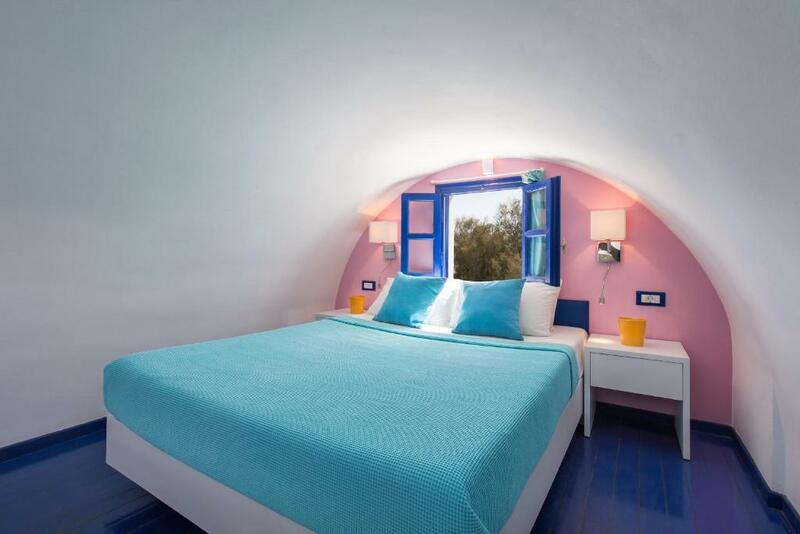 The bed was "okay"...seems Greeks like hard beds. Beautiful grounds and a wonderful staff. Helen was so helpful! It was great being so close to the beach and a variety of restaurants. Was also nice to get inexpensive, clean water right on site. Only because I have to put something here, not a con but a “to be improved”, the bathtub could enjoy a well deserved retirement! First thing first, a very very big thanks to the incredibly welcoming team. Helen, John and Minas will do everything they can to make your stay perfect! They are available at all time and go far beyond their duties to help you out in any situation... even solving car incidents for their guests !!! ;) thanks again for stepping up ! The hotel architecture with this little “street” between the two sides, brings an enjoyable viewpoint from the pool. Because we were 4, we had the privilege to stay in the room 30 (highly recommended) that has a spacious living space and also a separate room ! Really appreciated the intimacy when you travel with kids!! The room has the best access to the pool, also a plus with young children. The hotel is really close to the beach (3 mn walk) and clearly the best beach walk of the island with restaurants and bars. The plus is because it’s not a beachfront, there is absolutely no noise at night... so you can enjoy a beautiful sleep. In the morning you can enjoy a nice breakfast near the pool with some relaxing music! The best way to start the day. Long story short, I will definitely recommend to experience a stay in that hotel ! You won’t regret it!! Beautiful place and location was near the beach. There are some lovely restaurants nearby just a walking distance away.